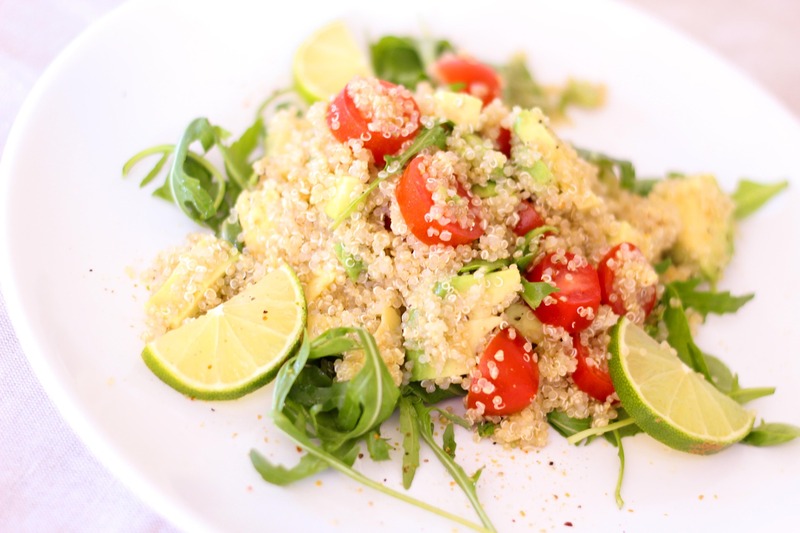 Cook quinoa ­­(ratio is 1 cup dry in 1.5 cups water). Lightly grease with coconut oil a square or rectangle glass baking dish. In a large bowl, mix together the quinoa, enchilada sauce, green chiles, olives, black beans, cilantro, cumin, chili powder, salt and pepper. Mix in 1/2 cup cheddar and 1/2 cup mozzarella cheeses. Spread this mixture into the baking dish and then top with more cheese as desired. Bake in oven for 15-20 minutes or until the cheese is melty. Garnish with avocado slices and tomato if desired.